The Imperium of The Nexyium Order is a nation led by Emperias Allistar Nexys on the continent of Antarctica. The Imperium of The Nexyium Order's government is a Oligarchy with very moderate social policies. Economically, The Imperium of The Nexyium Order favors right wing policies. 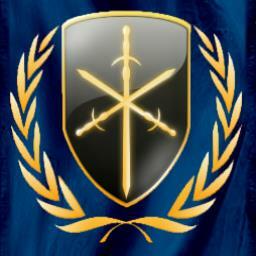 The official currency of The Imperium of The Nexyium Order is the Gold Standard. At 73 days old, The Imperium of The Nexyium Order is an established nation. The Imperium of The Nexyium Order has a population of 214,373 and a land area of 4,100.00 sq. miles. This gives it a national average population density of 52.29. Pollution in the nation is a disaster. The citizens' faith in the government is completely depleted with an approval rating of 0%. 03/30 12:44 pm - The Nexyium Order had war declared by Turkmen SSR for the reason of "Thats A Lot Of Steel!". 03/10 01:45 am - The Nexyium Order had war declared by Transdanubia for the reason of "You're a disease, and I'm the cure.". 03/04 05:43 pm - The Nexyium Order had war declared by Republic of Mesopotamia for the reason of "You Will be annexed". 02/28 11:33 pm - The Nexyium Order changed their Color Trade Bloc from Gray to Purple. 02/18 02:16 pm - founded a new city, Articia. 02/11 02:57 pm - The Nexyium Order left the alliance United Alliance for Freedom. 02/11 01:52 pm - The Nexyium Order applied to join the alliance United Alliance for Freedom. 02/11 01:16 pm - The Nexyium Order placed an embargo on Mountania. 02/11 12:27 pm - founded a new city, Kieros. 02/11 12:09 pm - The Nexyium Order was created!